Located in the Fair Play AVA, and situated among the rocky, granitic hillsides of the Sierra Nevada foothills, Baiocchi Wines is a family-run vineyard producing high quality, small lot wines from our estate-grown grapes. Baiocchi is our parent brand and surname is created from select vineyard blocks with more single varietal wines. gb our sibling brand is estate fruit as well but with more blending throughout certain blocks, less new oak if any and wine that will be accessible at an earlier age. 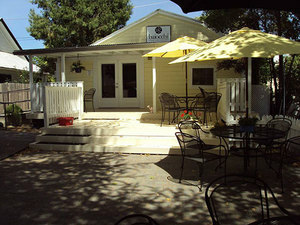 We are very excited to have our tasting room on 82 Main Street in historic Sutter Creek, CA. We picked Sutter Creek not just for its historic charm, but also for its wine community and ability to become a wine destination in the Sierra Foothills. 82 Main St. Sutter Creek, CA. 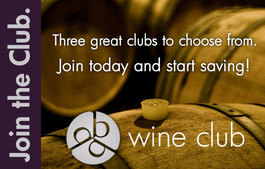 We have three great wine clubs to choose from. Each one offers amazing savings and perks. Check them out now and join today. Wine production is as old as the hills – literally. And our approach to winemaking is most definitely old school, and we believe the respect we show the land is captured in every bottle of wine we produce. Join us every other Sunday afternoon on the patio for live music and wine. © Baiocchi Wines. ALL Rights Reserved.